Upon receipt of the Shed Pal I put in 3 brand new AA batteries, which were not included. I tried it to see how quiet the motor was. It wasn't too loud. I then tried it on one of my dogs. Surprisingly she wasn't afraid of the sound. I groomed the dog for a few minutes and not one single hair was picked up in the collection canister! I then tried it on some very small scraps of paper and once again nothing was picked up! 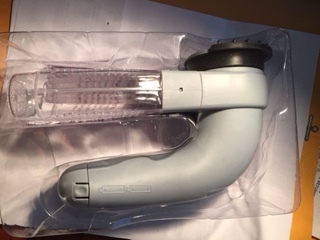 There is not enough suction to pick up dust, much less pet hairs! 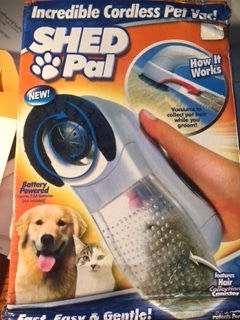 In conclusion I would say that the Shed Pal is a complete waste of money as it is a useless piece of crap. I certainly do not recommend it to anyone!